Michael T. Cimino is a Member in the Construction, Manufacturing and Mining Law industry groups, focusing primarily on workplace safety and health. He practices out of the Firm’s office in Charleston, West Virginia and serves as the Practice Group Leader for the Workplace Safety & Health Practice Group. Michael routinely represents mining, construction, manufacturing, and general industry clients in compliance and regulatory matters, civil and criminal enforcement matters, and accident investigations. 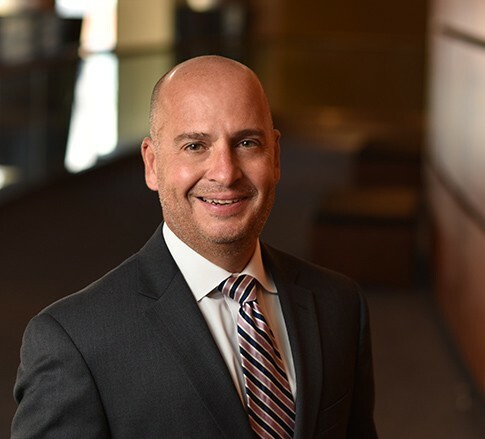 Helping his clients navigate the complex arena of workplace safety is Michael’s specialty; he has extensive experience litigating cases under the Federal Mine Safety and Health Act (MSHA) and the Occupational Safety and Health Act (OSHA). He represents defendants in litigation involving whistleblower claims, discrimination claims, deliberate intent, premises liability and toxic tort. He is committed to guiding his clients through complex legal situations using his knowledge and experience of both the law and the industry. Michael’s dedication to his craft has earned him recognition as one of the top attorneys in his field. He was recognized as a Litigation Star in the West Virginia section of Benchmark Litigation for his work in workplace safety. He has been named to Woodward/White’s The Best Lawyers in America® since 2009 and has been named in the Chambers USA list of America’s Leading Lawyers for Business. Michael combines his love of sports and community involvement through coaching youth sports teams and serving as a high school soccer coach at Charleston Catholic High School. He plays an active role in the legal community, from serving as president of the Defense Trial Counsel of West Virginia from 2012 to 2013 to teaching as an adjunct professor at the University of Charleston, where he taught Civil Procedure and other courses.